I’ve one major passion: how to connect and promote our city globally! It’s one of the reasons I love my role as Head of Engagement at Digital DNA. Next week, I’m heading to Los Angeles to speak at the major event: IrelandWeek! The conference is a one-stop shop for doing business with and in Ireland. With a key focus on celebrating innovation in tech, trade, entertainment and cultural ties between Ireland and Los Angeles, this year’s flagship conference is taking place in the heart of Silicon Beach at Loyola Marymount University’s new Playa Vista campus. There will be dozens of events happening across Los Angeles, covering Live music, Theatre, Visual Art, Film and TV, Sport, and Animation as well as many other areas of interest not just to the Irish diaspora in Los Angeles, but to those keen on doing business in these fields in Ireland. IrelandWeek is a fantastic opportunity to celebrate the role of Digital DNA as Ireland’s leading business and technology event bringing global tech leaders to Belfast to engage and inspire delegates from around the world. I have the privilege of speaking at the session: “The New World Order: Doing International Business in a rapidly changing environment.” This will obviously include discussion on the impact of Brexit, changes in international trade and I also want to explore the opportunities for the tech and digital sector as a driving force for innovation in the ‘new world order’. 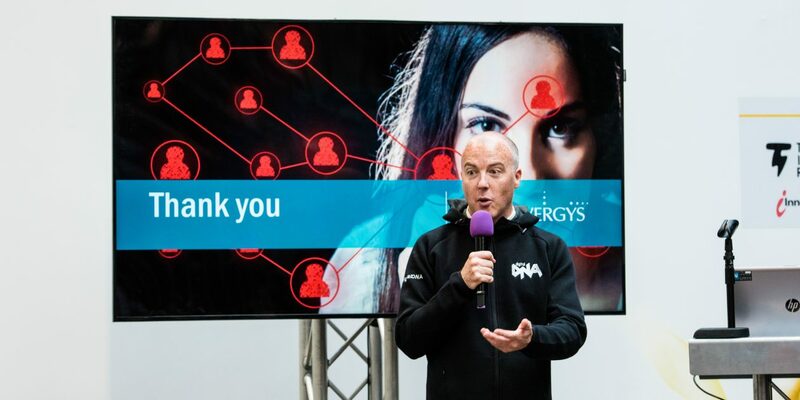 It’s a great platform for Digital DNA and for Belfast – getting to share a stage with business leaders from NBC, Belkin, Orreco, Hustle, EPIX, Xhail, Clutter, Compass and Fox Music – to build new relationships. We’ll also have the chance to meet with the LA Deputy Mayor for International Trade together with the Irish Consul General to Western US and engage with Irish Screen America, Irish Film Board, Enterprise Ireland, IDA Ireland and many others. There’s a film festival as part of the conference and it’s exciting to see ‘Grace and Goliath’ filmed in Belfast and produced by the inspirational Cinemagic as part of the programme! The conference will also explore themes including: ‘The Innovation Journey from Ireland to Los Angeles’, ‘Success stories & challenges facing Irish companies & executives navigating the US market’, ‘Funding Expert’s take on funding on a world stage’, ‘Disrupt, Scale, Globalize’, ‘Celebrating Creativity and Innovation, ‘How start-ups cultivate rapid success’ and ‘Connecting Modern Ireland’. Digital DNA is about celebrating the best of our city – bringing our community together to celebrate its distinct culture, creativity and inspiring story. IrelandWeek gives us a real opportunity to shout about that positive message and to continue to contribute to the economic development of our city, build community cohesion and promote digital Belfast to a global audience.